Claire Buss is a science fiction, fantasy & contemporary writer based in the UK. She wanted to be Lois Lane when she grew up but work experience at her local paper was eye-opening. 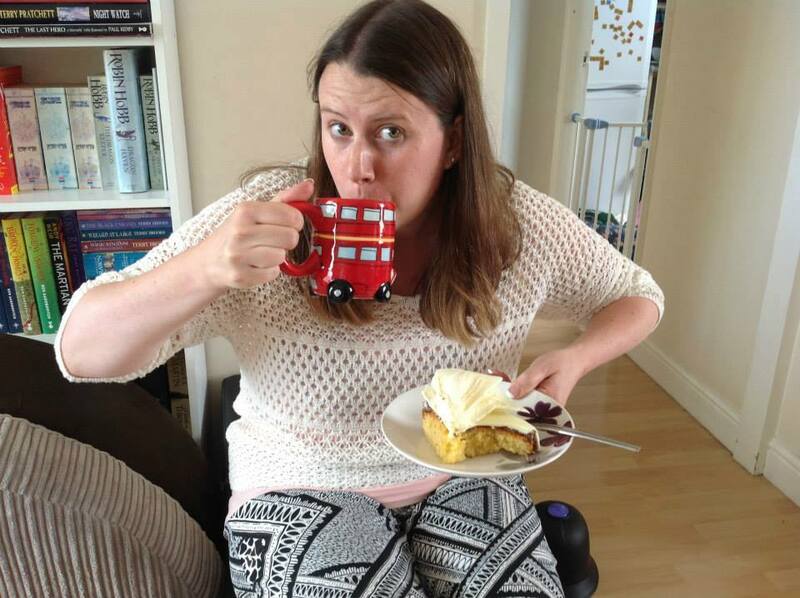 Instead, Claire went on to work in a variety of admin roles for over a decade but never felt quite at home. 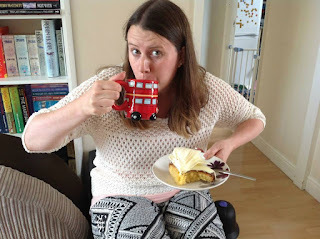 An avid reader, baker and Pinterest addict Claire won second place in the Barking and Dagenham Pen to Print writing competition in 2015 setting her writing career in motion. The Gaia Effect, a hopeful dystopian novel and winner of the 2017 Raven Award for favourite Scifi/Fantasy novel, was published in 2016. Tales from Suburbia, a collection of humorous plays, blogs and short stories was published in July 2017. 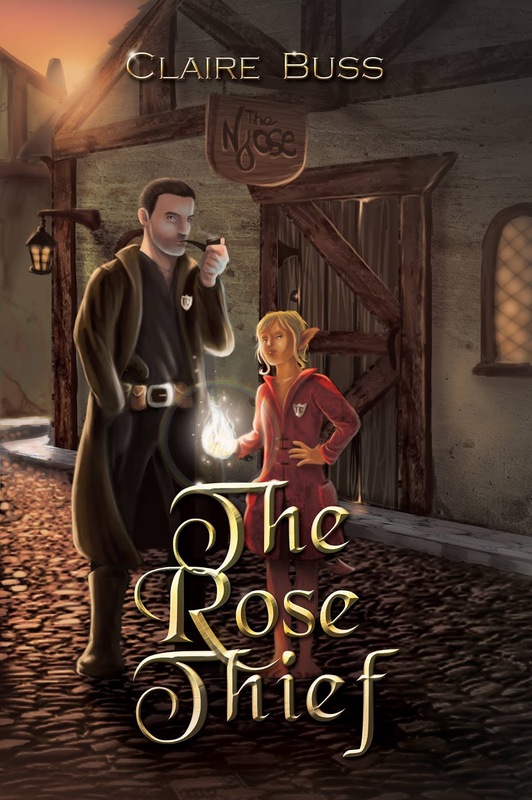 The Rose Thief, a humorous fantasy inspired by Claire's love of Pratchett was published in November 2017. Claire has had two short stories published in 2017. 'Underground Scratchings' can be found in the sci-fi and fantasy anthology Tales from the Underground, published by Inklings Press. 'Patient Data' can be found in the sci-fi anthology The Quantum Soul, published by SciFi Roundtable. I prefer to write fantasy or sci-fi, I find it quite difficult to write in the 'real-world. It never feels genuine. Although I have written some humorous short stories and plays that are set in the real world so maybe I just need a bit more practice. 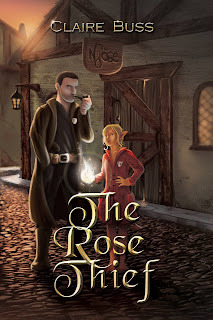 My current favourite is my latest book, The Rose Thief, a humorous fantasy. It was so much fun to write, I really enjoyed meeting all the different characters and discovering their quirks. I am currently working on the sequel to my first book, The Gaia Effect, which is in very, very rough draft stage but I am looking forward to getting to grips with it soon and figuring out the structure etc. I am hoping to be able to write another collection of short stories to release in the summer called Tales from the Seaside and a couple of novellas to go with The Rose Thief later this year as well. 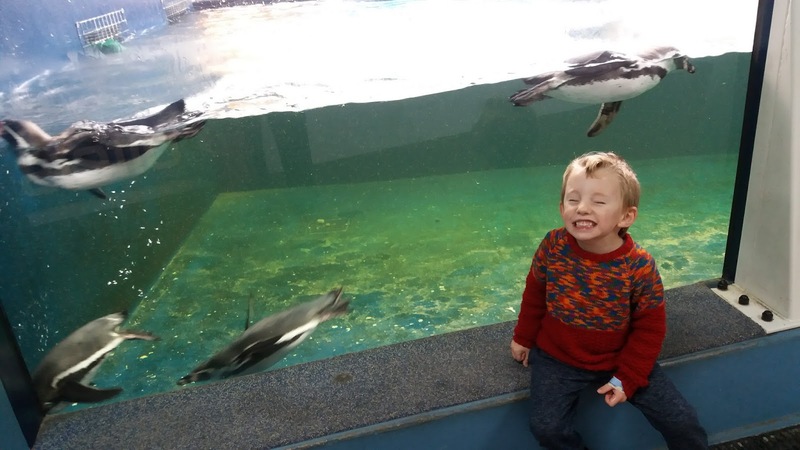 I had a baby girl in December 2017 and I have a little boy who is four and a half so I don't get much time to relax lol. I enjoy watching movies, curling up with a good book and baking. One of my hobbies is crosstitch but I think it will be a little while before I get some quality time to sit down with that. My favourite movie of all time is The Princess Bride, closely followed by the LOTR and The Hobbit trilogies. I thoroughly enjoyed Fantastic Beasts and Where To Find Them, as well as all the other Harry Potter movies. I enjoy the Marvel, Disney & Pixar films - to be fair, we watch at least two movies a week so it's safe to say we love everything! Apart from horror, I don't like horror movies. Again, I find it tricky to fit in watching tv shows so being able to record on your tv box is a life saver. Favourites include The Great British Bake Off and Dr Who. I recently watched The Expanse on Netflix which was fantastic and I am currently watching & enjoying Killjoys. I do like to write to music especially movie sound tracks, lately it has been Twilight, LOTR and The Hobbit. I sometimes listen to classical music as well. Amazon Prime has pre-made playlists in it's music section and they are great for having music on in the background while I try to write. I haven't got round to creating my own playlist. Well, I must be the exception to the rule as I'm not particularly fond of cats! At present we do not have any pets at all. In the past I have had family cats, a hamster, a budgie and a tortoise. Oh and tropical fish. They were very soothing. No pictures I'm afraid because none of them are current pets. I do have an annual pass to my local sea life centre so I can include a photo of penguins because, you know, penguins! My advice to those wanting to be writers is to try and find a local writing group. I was very fortunate that my local library ran a series of writing workshops which were fantastic for idea generation, learning how to take criticism and understand the bones of writing. I would also recommend joining Facebook groups for indie authors who write similar genre to you, they can be very supportive and full of helpful tips & advice. There are also lots of great books on writing like Stephen King's On Writing and of course writers should read voraciously. I have been inspired to write by all the wonderful fantasy & sci-fi writers I've read over the years like Terry Pratchett, John Scalzi, Greg Bear, Robin Hobb, Robert Jordan and Ben Aaronovitch just to name a few. I'd have dinner with Ned and Jenni from The Rose Thief and we'd have some of Momma K's delicacies as well as plenty of Aggie's cinnamon twists. I'd avoid the beetle quiche though. I'd go into space, it would be so scary but it would be so amazing. Can you imagine doing a space walk? Blue. I used to actually have a wardrobe that was mostly blue, it's my favourite colour. My dream writing spot would be a comfy chair, hot cuppa, slice of cake and bags of inspiration to keep the writing flowing. Sounds like we have a lot in common. Good luck with all your projects and thanks for stopping by! Make sure you check out her books at the links above. This is NOT a diet cake. Not by any stretch of the imagination. It's a pound cake variation that happened because I checked the expiration date on the cream cheese in my fridge. It came out dense and moist and delicious. Pre-heat oven to 325°F. Grease a bundt pan. Set aside. Cream butter, cream cheese, sugar, and honey until fluffy. Add eggs, baking powder, baking soda, salt, almond extract, and sour cream. Beat until very well mixed. Turn mixer speed to low. Add 1 c. flour. Mix in. Stir in milk. Stir in 1 c. flour. Beat just until mixed. Pour batter into prepared bundt pan. Bake at 325° for 55-65 minutes, until a toothpick inserted near the center comes out clean. Let the cake cool in the pan for 10-15 minutes. Invert onto a plate to finish cooling. I served mine with raspberry jam. It stays moist for several days. I usually try to stay away from weird ingredients that are hard to find. Kumquats kind of fit that definition. They are only in the stores sometimes and only in some stores. But I found some and my kids asked to try them out so I bought a few. A couple of my kids tried them, but they can be bitter. They're like little oranges and you eat the whole thing, peel and all. We had some sliced on salads and that was tasty. But I had a dozen that needed to be used soon. And I had a pork roast in my fridge. So I made Kumquat Pork. It was delicious. I went to recreate the recipe a few days later when I had another pork roast, but I didn't have any more kumquats. I did have some tangerines and a lime so I used them instead. Still that great citrus flavor, but not quite as tasty. So if you have kumquats, use them. If you don't, substitute in a lime and an orange or tangerine. Lightly grease a small covered roasting pan. Spread the onions in the bottom. Add the pork roast. Sprinkle the kumquats, cranberries, vinegar, worcerstershire sauce, garlic salt, and pepper over the top. Roast at 400°F for 1-2 hours - until pork is done and tender, and all the other stuff around it is carmelized into a nice chutney type topping. Slice the pork. Serve with the topping stuff over rice or potatoes. 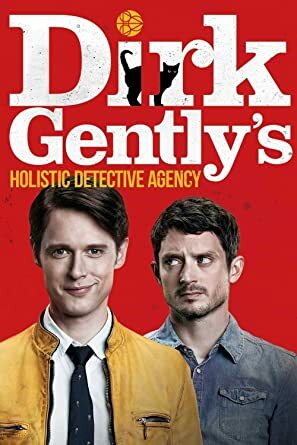 So, we're surfing Hulu and we came across this show - Dirk Gently's Holistic Detective Agency. Being bored, we decided to give it a try. I remembered hearing something about the book years ago, but couldn't remember ever reading it or anything else about it. I'm glad we did. It's weird, wacky, wild, and very very unpredictable. The characters are bizarre. It involves kidnapping, murder, time travel, body swapping, weird nerve diseases, talking vans, a corgi, and a cute little black kitten. Just surfed out to imdb.com to check this out, and it's the 2016 BBC America show that we watched. Check it out here. Warning - it is a little disturbing at times. The holistic assassin is way over the top. Bodies drop like flies all through the series. Violence happens a lot. Not a show for small children, and maybe not for older children. Five stars for a very enjoyable show with plenty of laughs and what in the world? moments. Warning for violence and gore and disturbing bizarre stuff. I got a new bundt pan for Christmas. *happy dance* I love weird and funky cake pans. I'm not such a fan of cake, though. I just love weird baking dishes. This one is supposed to make a giant doughnut, but it mostly just makes a smooth bundt cake. And if all recipes were this delicious, I might decide cake is much better than I thought. Cream butter and sugar together. Stir in sour cream, vanilla, salt, soda, baking powder, eggs, and cocoa. Beat smooth. Stir in flour. Beat with a mixer for 2 minutes, until smooth and creamy. Grease your pan of choice. Pour batter into the pan. Nope, not a recipe today. Those will be coming. After I figure out my diet. Again. It turns out I'm allergic to tomatoes, potatoes, eggplant, and peppers. I'm also reacting to cucumbers, honeydew melons, and cantaloupe. I had no idea how much I relied on tomatoes, peppers, and potatoes in particular. I'm even reacting to chili powder and paprika. I have to revamp my whole recipe box, especially since I'm supposed to be eating a low-glycemic load diet on top of that. So, anyone have recipes that don't use tomatoes, potatoes, or peppers of any kind? Ones that aren't cream-based? I would love some more main dishes to try. Teriyaki Chicken was a hit the other night, but it's high on the sodium. Place chicken in a small roasting pan or casserole. Spread the onions over the top. Mix together the rest of the ingredients. Pour over the chicken. Bake uncovered at 350° for 30-40 minutes if chicken is thawed, 60-75 minutes if chicken is frozen, until chicken is done. Serve over rice with green onions as a garnish.